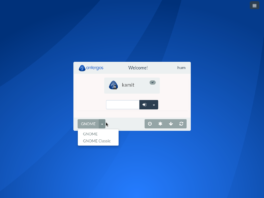 This article is a review of the latest edition of Antergos – Antergos 2014.05.26, a desktop distribution based on Arch Linux. 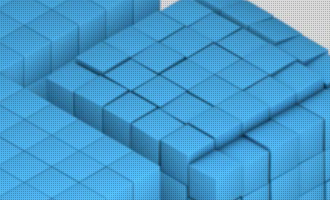 Like Manjaro, another Arch Linux-based desktop distribution, it is a relatively young distribution, and like its parent distribution, is a rolling release distribution. A rolling release distribution is an install-once-update-forever distribution. That is, once a system is installed, there’s no need to reinstall when a new version is released. 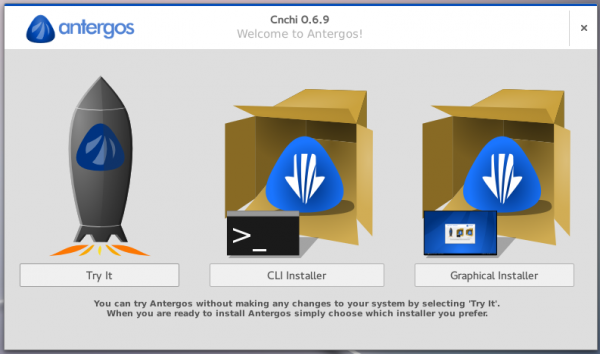 The Antergos installer offers a choice of six desktop environments – Cinnamon, GNOME 3, KDE, MATE, Openbox and Xfce. 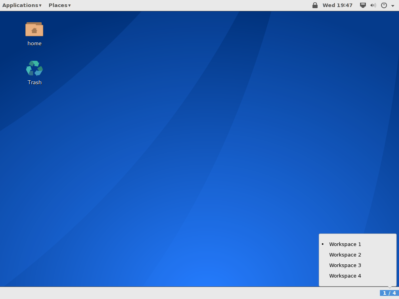 This review features materials from test installations of the Cinnamon, GNOME 3, and KDE desktops. 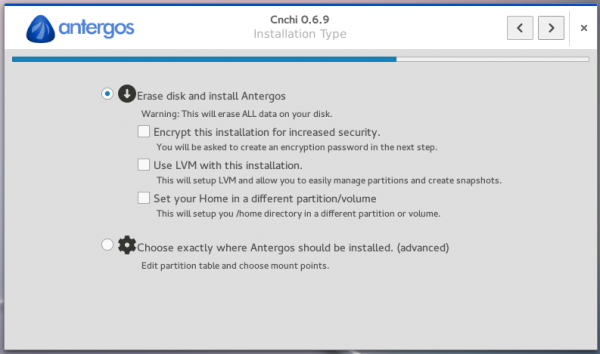 Antergos Installer Antergos is one of those distributions that gives you easy access to a text-based (command-line) installer, besides a graphical installer. 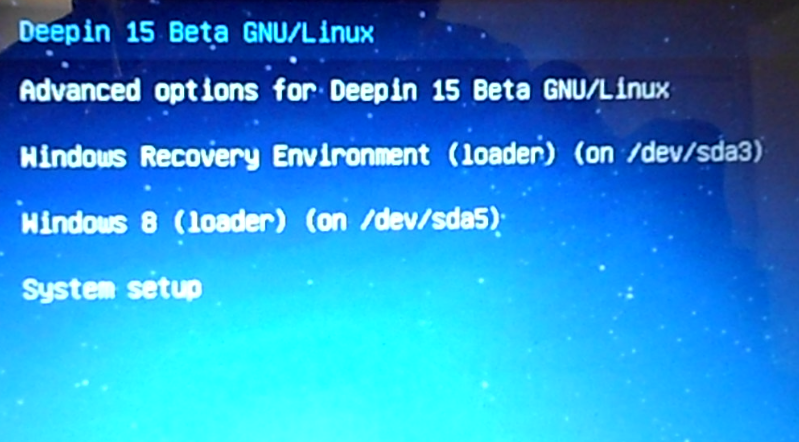 When you first boot the Live ISO image, you are presented the three options shown in this screenshot. I’ve never bothered to use the command-line installer, because I don’t see the point of it. But the graphical installer is still a work in progress, designed to look and feel just like the Ubuntu Desktop installer. 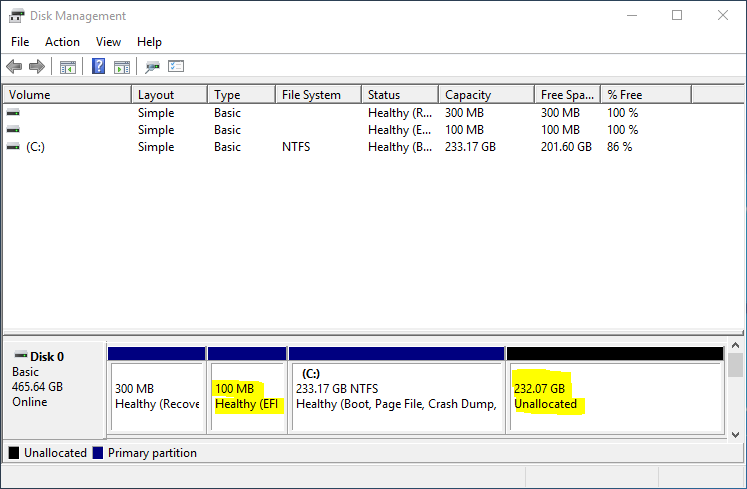 The disk partitioning options are similar to the ones available on Ubuntu’s installer. 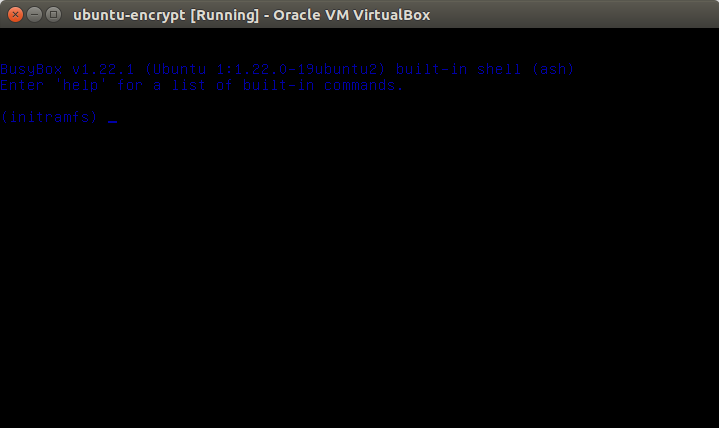 Full disk encryption and LVM, the Linux Logical Volume Manager, are supported. An option not offered on Ubuntu’s installer lets you set up a /home directory on a separate partition or Logical Volume, if LVM is used. 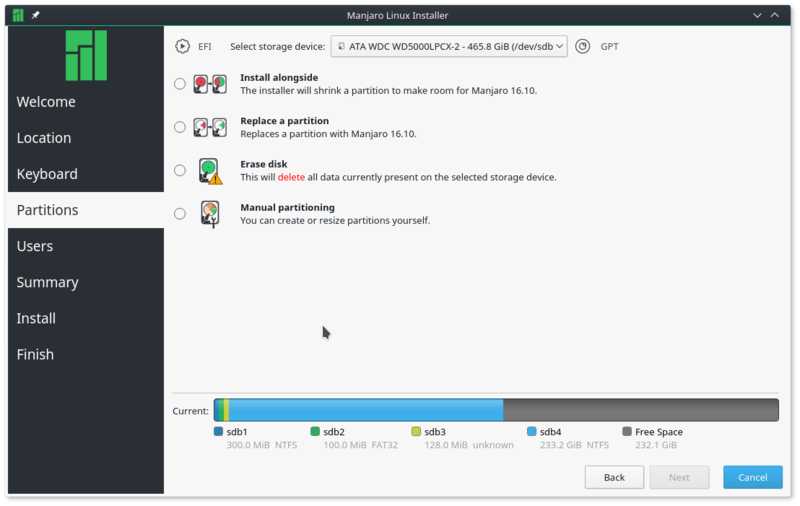 And the manual partitioning features have a similar look to Ubuntu’s. This screenshot shows the desktop environments supported by the distribution. 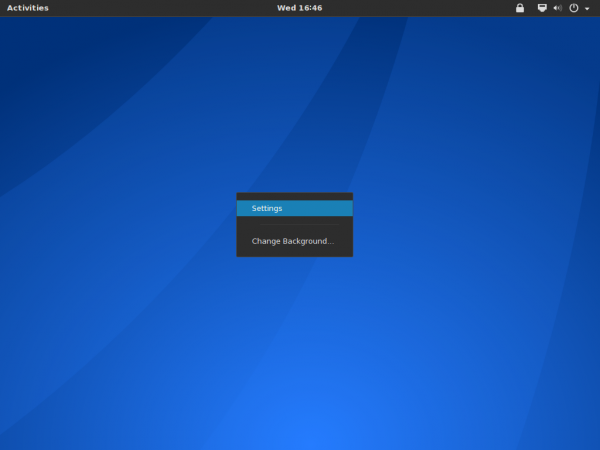 The default is GNOME 3, with a default GNOME Shell. And that also is the desktop environment for the Live system. And this shows a partial list of services that could be enabled or disabled during installation. 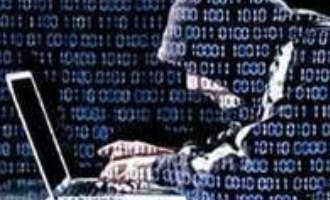 Ufw firewall application is one of them. This screenshot shows the default rules for the firewall. 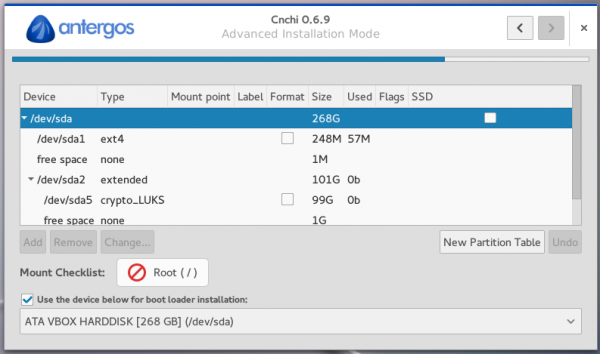 In general the installer works, even on computers with UEFI firmware. 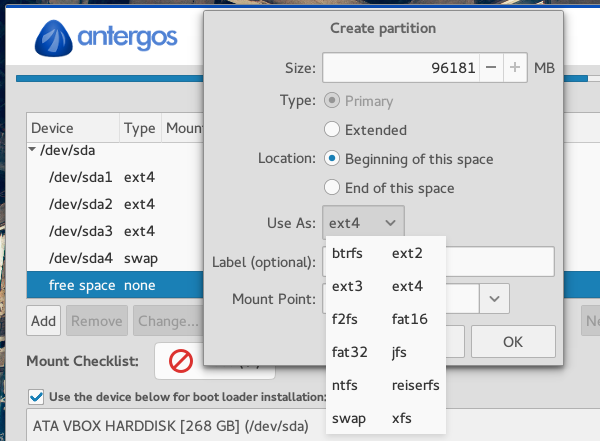 See how to Dual-boot Windows 7 and Antergos on a PC with 2 HDDs and UEFI firmware. The only drawback is the inability to create manual encrypted partitions. For that, you may have to use the CLI installer. The Desktop Environments: The desktop environments that I tested sport a custom login screen, with a background that changes on each boot. 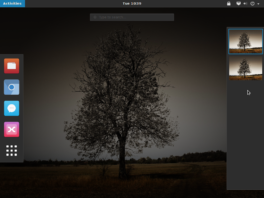 For each desktop environment, the login process is a 3-step affair, as shown in this gallery, which is made up of images taken from an installation of the GNOME 3 desktop. 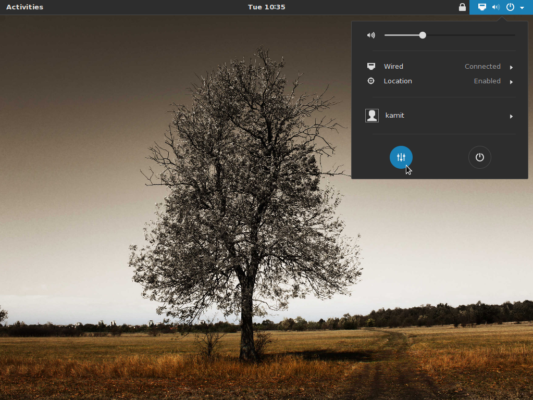 And talking about the GNOME 3 desktop, it features GNOME 3.12.2, with a default GNOME Shell. 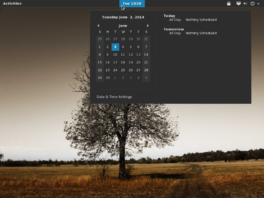 Click on any image of this gallery to view other aspects of Antergos GNOME 3 desktop. 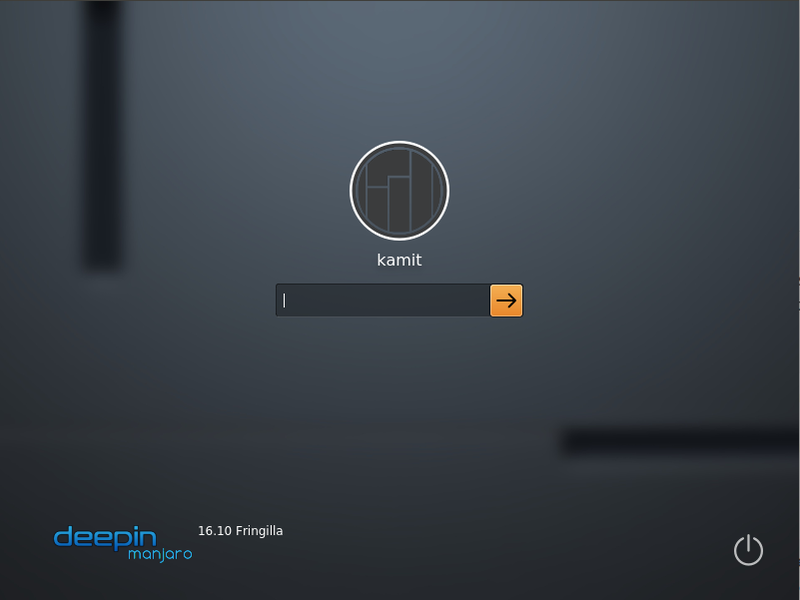 The default GNOME 3 desktop of Antergos 2014.26.05 showing the profile indicator. The Activities view on Antergos 2014.05.26 GNOME 3. 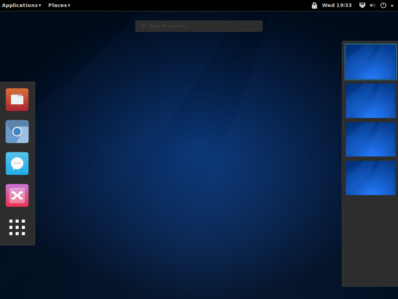 This is the Activities view of the default GNOME Shell, which is only slightly different from that of GNOME Classic. 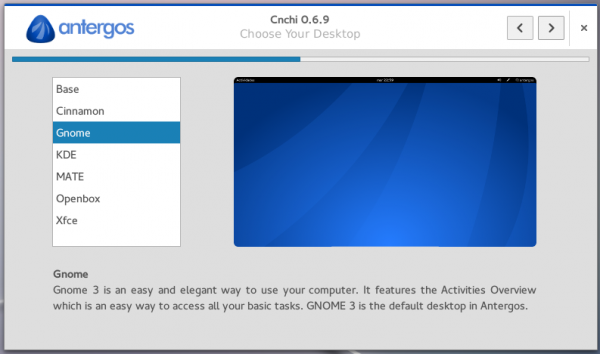 The GNOME Classic desktop on Antergos 2014.05.26 showing the Applications menu. 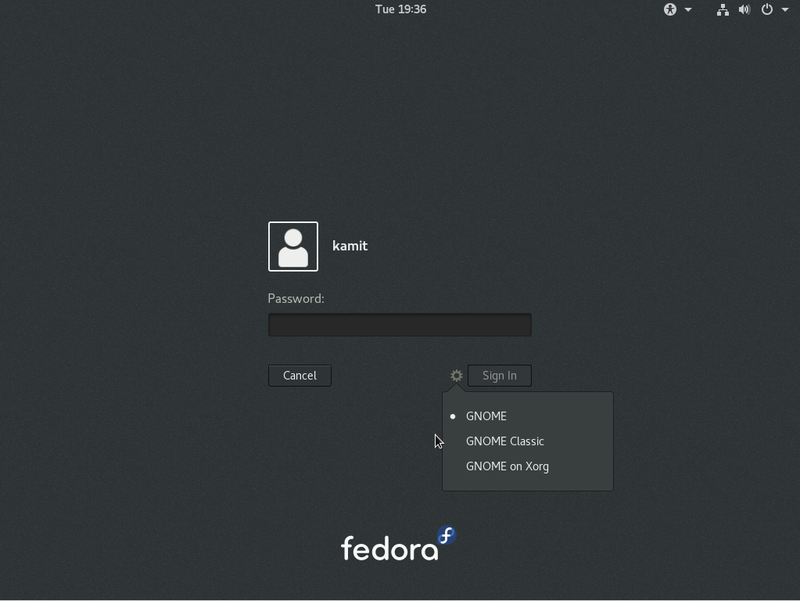 The GNOME Classic desktop on Antergos 2014.05.26 showing the Places menu. The GNOME Classic desktop on Antergos 2014.05.26 showing the Activities view. 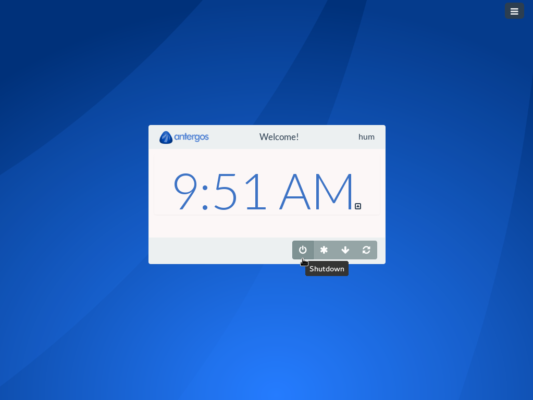 The GNOME Classic desktop on Antergos 2014.05.26 showing the workspace switcher. Been using Antergos for about six months. Previous linux experience was Ubuntu and derivs. After spending about a day learning things about the system, I was up and running and never needed to look back. Peeps on the forums and on Google+ are about as nice and helpful as they can be. 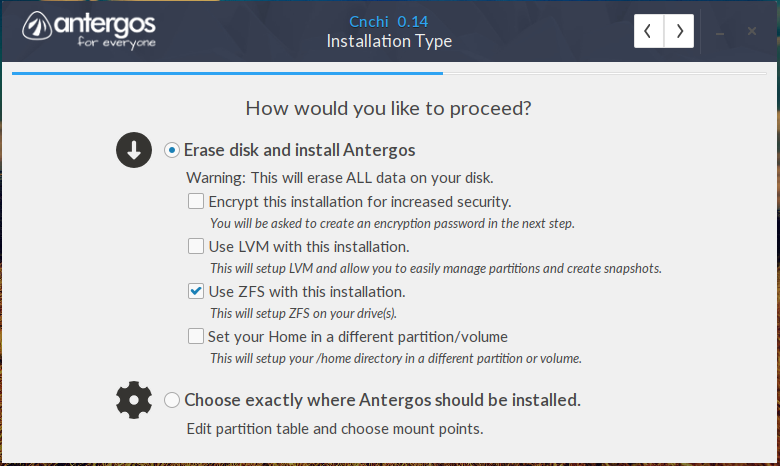 Like with any distro, YMMV, but I can say I have had more success with Antergos than I have had in my years using Ubuntu. Therein lies the beauty of Free Software operating systems. 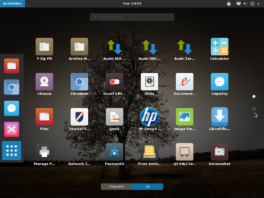 Antergos has the newest Gnome version, 3.12, while Ununtu-based distributions are still with Gnome 3.8, at my knowledge. 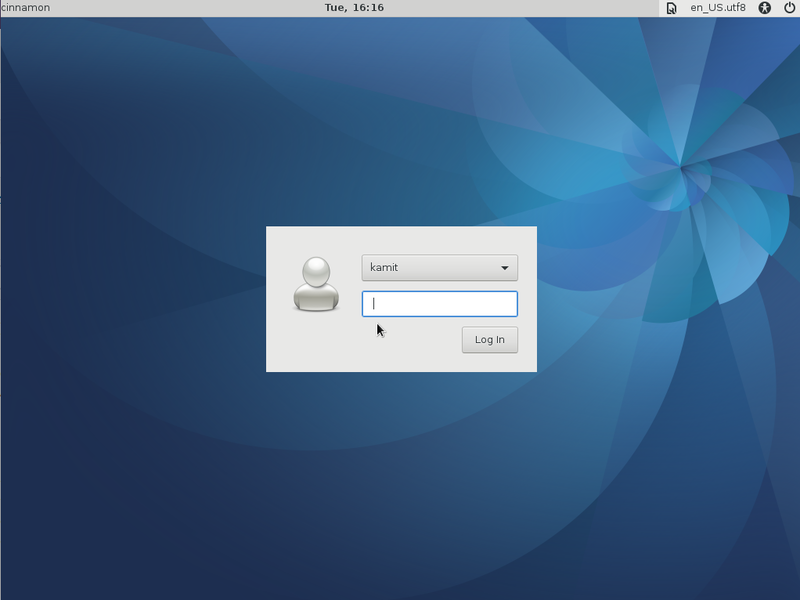 For Wacom graphic tablet users, Gnome 3.10 and later versions provide possibility to match screen aspect ratio, so the circle on tablet will not become oval on screen, and support for tablet buttons. Krita, main painting program for Linux, is available for install through software manager PackmanXG, as calligra-krita package. General inmpressions from Arntergos after Mint: feels as a breath of fresh air, fast and smooth. It has a lot of small puzzles that have to be researched, for the lack of Help in some programs, such as PacmanXG, screen saver, compact view in file manager, open as administrator and so on. Antegros forums are very helpful for this, mind the time difference between Europe and North America. Not as ready for use “out of the box” as Linux Mint, but almost there, if basic help info woulsd be readily available to smooth transition from Mint (Ubuntu based) to Antegros (Arch based). Try it, it’s really nice. 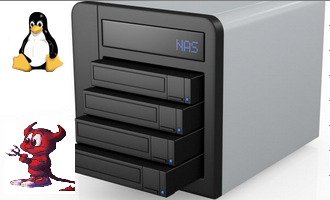 It is a nice and good distro. If you don’t like the graphical package manager you can still use CLI. 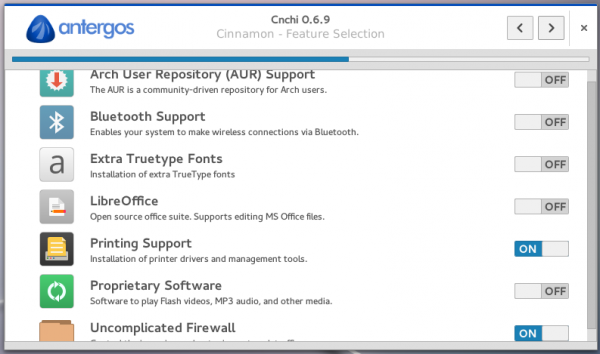 An easy way to install pure Arch system with selectable goodies. Keep up the good work Antergos. 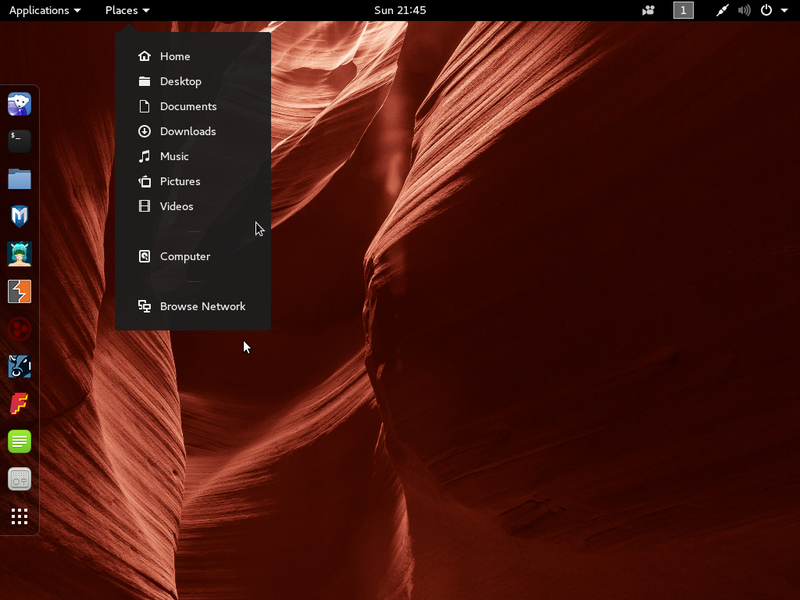 Looks like a nice distro.